In continuation of product development, Develco can handle production, deliver finished products and upgrade products. Based on deep process knowledge about production of electronics, we can effectively handle New Product Introduction (NPI). Develco works systematically according to the principles of Design For Manufacturing. 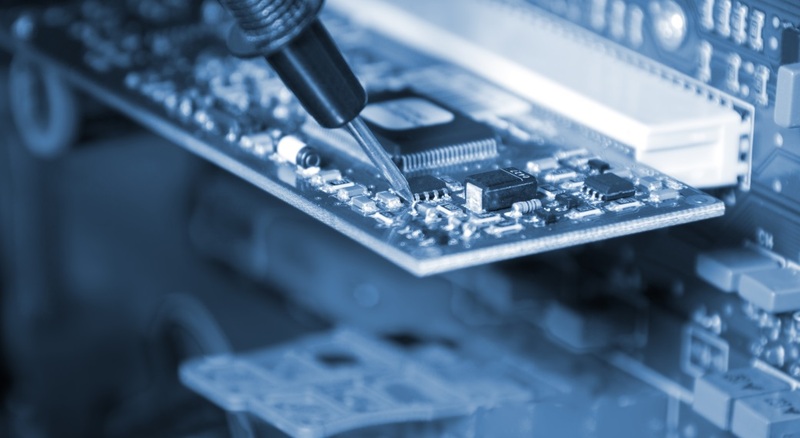 The chosen EMS (Electronic Manufacturing Service) is involved early in the development phase, so design is optimized for both production equipment and testing. As a final part of product development, a prototype is usually produced at Develco’s own workshop. Subsequently Develco can take responsibility for handling of New Product Introduction NPI with focus on production, ongoing production and product maintenance at the selected EMS. Develco has selected a number of EMS partners who cover the whole process from prototyping, 0-series, low-volume production to mass production. We keep updated about the EMS industry and are always open for new beneficial corporations. We have regular business partners in Denmark, Europe and in low-cost countries, such as Thailand and China. Over time, the cooperation with these EMS partners has become easy and trustful. In cooperation with the customer, we find the best possible EMS and production location. It is a very important choice, as it not only affects total costs, quality and flexibility, but also concerns the transportation of finished goods. Develco is taking full responsibility for the contracts and general cooperation with the subcontractors. Our responsibilities include ensuring the necessary legal documentation, cooperation in the development process, test coverage, correct documentation to the EMS and the final quality of the product. It is possible to make a change of EMS during the product life cycle and use one EMS for manufacturing of prototype, 0-series and production of small series, and another EMS for mass-production. A crucial element in running a production is a good test setup. Develco can ensure high quality of the product tests, the right test equipment and short test times, which bring cost optimization benefits. Develco has extensive experience in construction of test equipment that is reliable and fits into a modern production setup. A key component in Develco’s testing equipment is a high quality calibrated standard measuring instrument. Moreover, Develco makes specially designed test fixes which are adapted to the test object. Test execution is carried out through TestStand which allows data acquisition and continuous quality analysis of the production. Monitoring the product from its fragile beginning on the market may have crucial impact on the longevity and profitability of the product. An effective product maintenance and ongoing product development often have a significant life-prolonging effect for the product and can contribute to strengthening the competitiveness in the market. The EMS’ competences and knowledge are strictly production focused. Therefore, they cannot offer services regarding maintenance of products on a sufficiently high level. For instance, when it comes to decisions about replacement or re-design of components or circuits. In such cases, Develco will be the right business partner and would guarantee that the best decision is taken for the product in question. The broad knowledge about components derived from development work will also benefit Develco customers during product maintenance. If there are better or cheaper components on the market, Develco will advise the customer about the possibility of upgrade or redesign. The competitive situation on the world market makes it risky to have a prolonged product development process, due to an ambition about making the product as advanced as possible. Often the wisest thing to do is to be the first on the market with a simpler product. Afterwards subsequently ensuring the competitive position with introduction of new and more complex versions. It is also advisable from the quality point of view. Develco can advise about the considerations connected to the transition from product idea to the realization to the market. Furthermore, Develco has its own workshop to manufacture prototypes, which can also contribute to the shortest possible time to market and best results for your product.